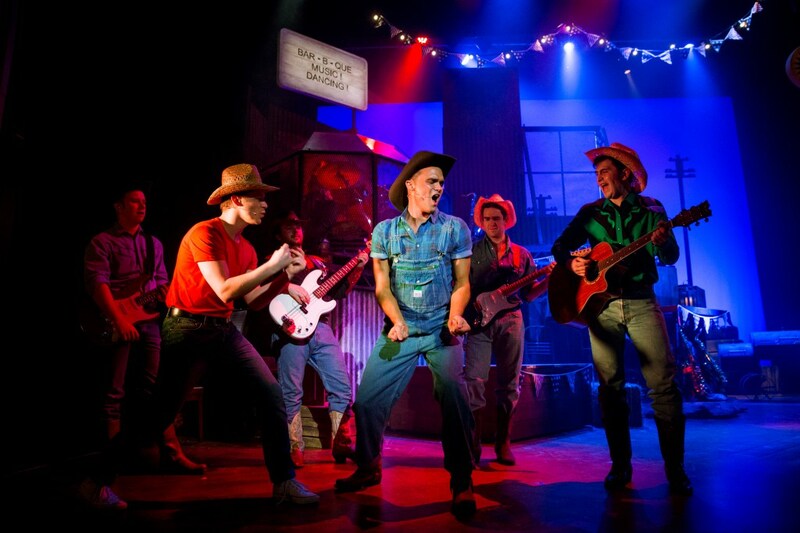 If the UK Tour is anything like the West End production (I've seen it twice previously, I must be a fan) of this 1980s classic you will be kicking off your shoes and dancing along with the energetic rock 'n' roll musical sensation Footloose. I was over the moon when I saw that The Curve was on it's UK Tour list, it was a great excuse to grab my dancing shoes and head for a night that I know will exhaust you by the end of it. Produced by the Award Winning Team at Sell A Door Theatre Company - producers of other incredible performances such as Avenue Q (I need this to come on so soon, I love the soundtrack!) and American Idiot - you know your in safe hands for a pretty incredible performance. Footloose follows Ren, played by Luke Baker a city boy who believes his life is over when he is forced to move to Bomont, a rural area of America. Little does he knows that things are far worse than he could have ever imagined, the town bans dancing (yeah even that is a disaster for me!). It isn't long before Ren realises he's not alone in breaking the rules! Luke Baker completely immersed himself within the energetic and charismatic individual that Ren is and his dance moves were really suited towards his character. My teenage self thanked the gods when I realised Gareth Gates would be undertaking the role of Willard, yes the Gareth Gates who missed out on the Pop Idol title back in 2001/2002. He has grown a successful career in Musicals having performed in Legally Blonde, Les Miserables and Joseph to name but a few. He also appeared on the last ever TV series of Dancing on Ice too! But anyway, Willard is one of my favourite characters in this musical so I was curious to see how Gareth would immerse himself into that character. At times his comedic personality in the Willard character felt forced which made for an unconvincing watch. However, this was all cast away when he started to dance through the scores of Let's Hear It For The Boy (especially when he was stood in gold shorts, well worth a look!) I felt like the casting didn't suit him as much as I had hoped but he still gave a confident and energetic performance. Hannah Price made her stamp in her professional debut in Footloose with her performance as Ariel Moore proving that she had just the right amount of sass and belt in her tones as expected of the character. She was everything as stunning and with a big voice that I had hoped. There is a real potential in her obtaining a great professional career so I wish her every success. 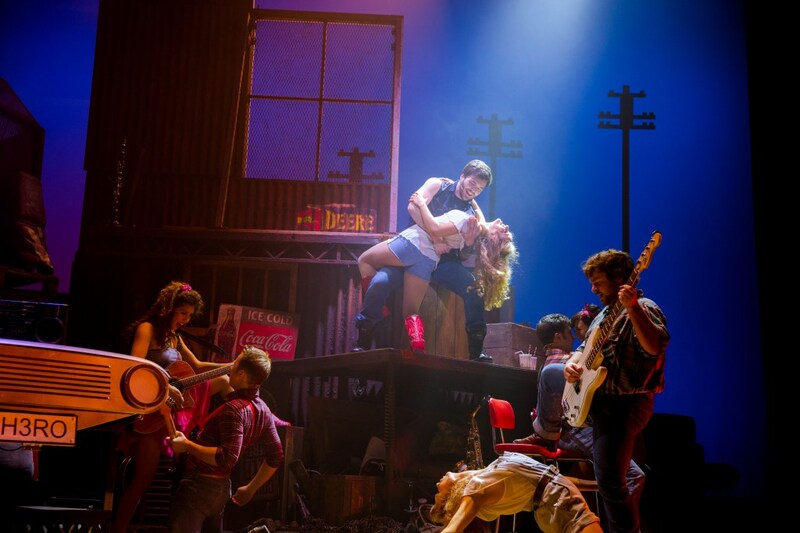 Footloose contains some of the most cutting-edge, energetic choreography with powerful vocals to go with it. It also includes classic hits from the film including Holding Out for a Hero, Let's Hear it for the Boy and obviously not forgetting the unforgettable title track Footloose which will no doubt have you tapping your feet away with it. I loved how the famous score was brought to life with the cast members playing instruments. It definitely gave a layer to the performance that made it feel more real and human to the audience's eye. We cannot deny that this cast was incredibly talented with juggling the acting, singing, dance and playing their instruments all at the same time. It's a level of skill and coordination that is becoming something I am seeing more often with performances and excites me everytime! I felt slightly disappointed by this performance of Footloose, it lacked the energy and oomph that I had loved for Footloose when I saw it before. I didn't know whether this was because we were nearing the end of the UK tour but it just lacked oomph that would have made it a success. I do have the confidence that they'll give you the oomph that you are after and I had experienced a night of teething problems within a new theatre on their tour. Disclaimer: I was invited to the press evening performance of Footloose The Musical on it's UK Tour when it performed at The Curve Theatre in Leicester in return for this post to be published. The photos are sourced from The Curve Theatre wesbite . All views are on my own. Yeah I definitely think it was when I saw it cause everyone said it was good this weekend so god knows, just a pity really when it's one of my favourite musicals to watch because it's packed full of energy!